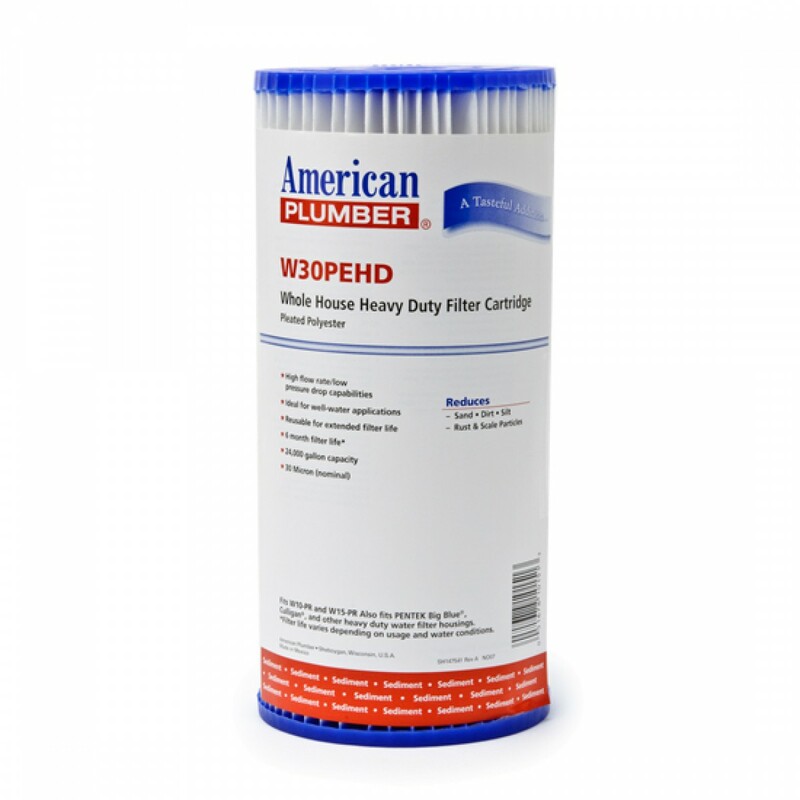 The American Plumber W30PEHD water filter replacement cartridge is used to reduce sediment, sand, and silt down to 30 microns. 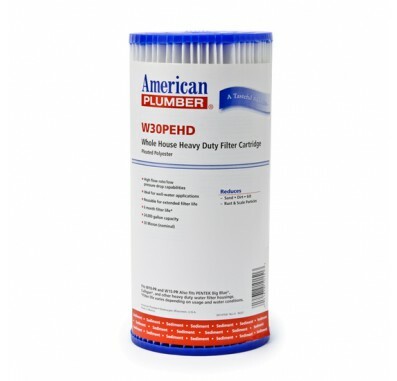 The W30PEHD filter can be washed and reused depending on water conditions. Pleated Polyester Reusable 30 Micron, 10-inch length. The American Plumber W30PEHD is made by Pentek and is the same filter as the Pentek R30-BB water filter.